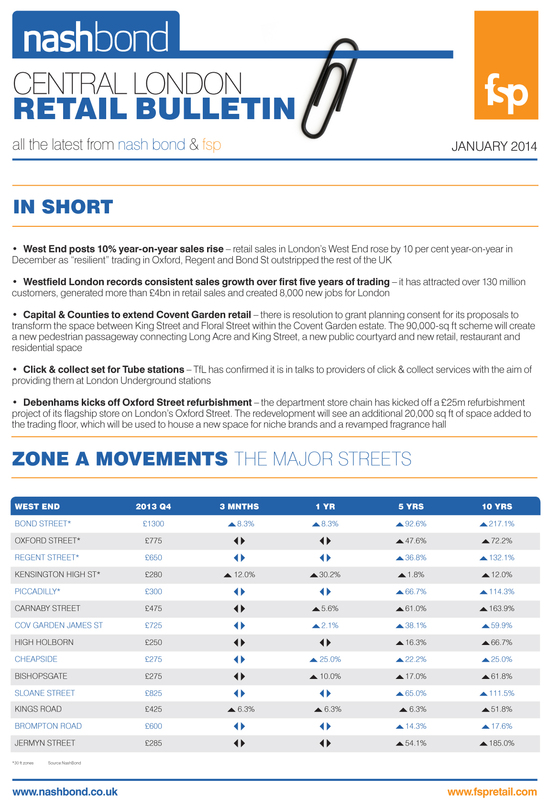 Nash Bond and FSP collaborate to bring you the latest quarterly central London retail bulletin. Nash Bond work closely with FSP Retail, the UK’s leading business consultants. Established in 1976, FSP Retail offers market research and intelligence, supported by years of expertise. FSP Retail’s clients include many major London Landlords and international retailers. Please click this link to download, the first new edition, covering Q4 2013.